Skipper Hiroki Kokubo announced the Samurai Japan national baseball team’s first provisional roster for November’s inaugural WBSC Premier 12 on Thursday afternoon. 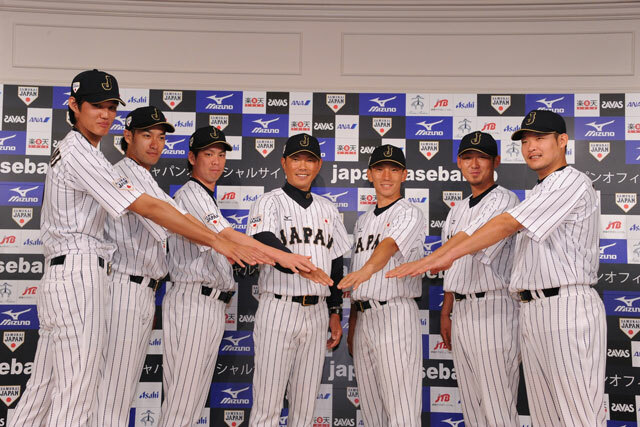 The group of 65 players is exclusively made up of NPB stars including 40-year-old ex-major league hurler Hiroki Kuroda and a 19-year-old new kid on the block, Tomoya Mori. Kokubo said at a Tokyo news conference that he and his staff selected “top players who represent today’s professional baseball” in Japan, yet added that while some may not be doing great presently, they had established themselves in the past. The Seibu Lions had the highest representation with 11 players, including Mori, who has come through for the Pacific League club with a .292 average and 13 homers, and PL batting leader Shogo Akiyama, who put together a 31-game hit streak earlier in the season. The Pacific League-leading Fukuoka Softbank Hawks and Hokkaido Nippon Ham Fighters followed Seibu with seven players each. The Hanshin Tigers, who had only pitchers Shintaro Fujinami and Minoru Iwata, had the fewest players named to the roster. Of the 65, 32 of the spots were taken by pitchers. Kuroda, who returned to NPB this season for the first time since he departed for the major leagues in 2008, would be on the top national team for the first time since the 2004 Athens Olympics if he makes the final 28-man roster for the Premier 12. The right-handed starter was originally on Samurai Japan for the 2006 World Baseball Classic, but was replaced before the tourney due to an injury. Kokubo said Kuroda, who’s gone 6-4 with a 2.68 ERA for the Hiroshima Carp this season, had a successful career in America and has continued that back in his home country, but also expected some intangibles based on the rich experience of the man who’s by far the oldest on the roster (Softbank’s Seiichi Uchikawa and Nobuhiro Matsuda, both 32, are the second oldest players). “I’ve been told my senior (players) that a loss at an international tournament is not just a loss. We wanted to have someone who won’t be shaken in any situation,” Kokubo said of his expectations of veteran players like Kuroda. Samurai Japan, which triumphed in the first two editions of the World Baseball Classic in 2006 and 2009, has made it a priority to recapture the nation’s status as the best in the world during the upcoming Premier 12 and also in the 2017 WBC. Meanwhile, for some of the younger players, they’ve yearned to take to the diamond and play in do-or-die contests on a global stage, such as the WBC and Premier 12, while representing their own nation. Kokubo didn’t list any players from the major leagues this time, because “it’s uncertain what MLB’s stance is (for this tournament).”　But the 43-year-old manager hinted that he would leave the door open for the major leaguers. Samurai Japan also announced that it is scheduled to play pair of warmup games against the 2013 WBC runner-up Puerto Rico at Yafuoku Dome in Fukuoka on November 5 and 6. The Premier 12 will open with a game between Japan and South Korea at Sapporo Dome on November 8.